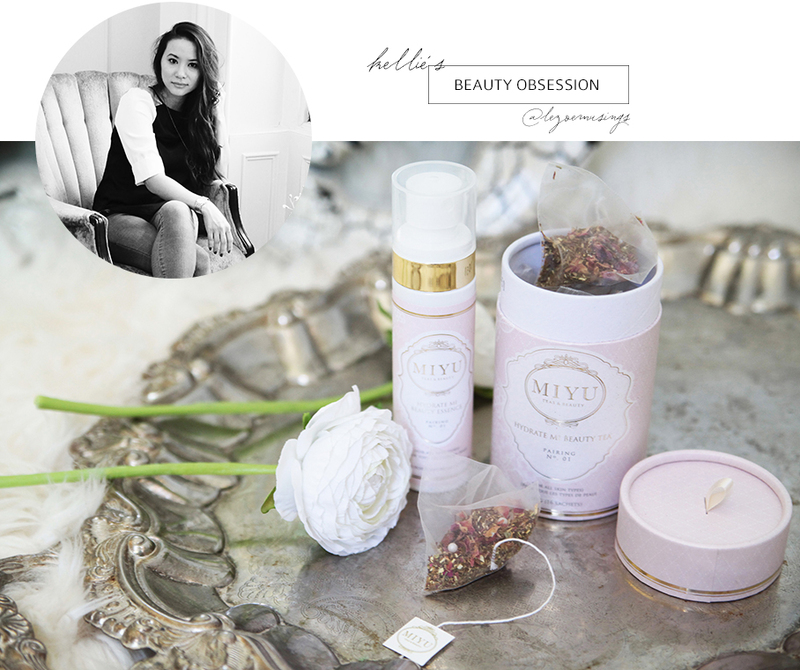 If there were ever a beauty brand created specifically for me, it would be MIYU Teas & Beauty. I first discovered MIYU about a year ago and have been hooked ever since. Their beauty philosophy is simple- take care of your skin from the inside out. You probably already know that I’m a tea fanatic. After all, I’m that girl who has her own Tea-Space (as seen here)– so when I learned that MIYU has teas which were part of a skincare regimen, I was sold. It was love at first sight. 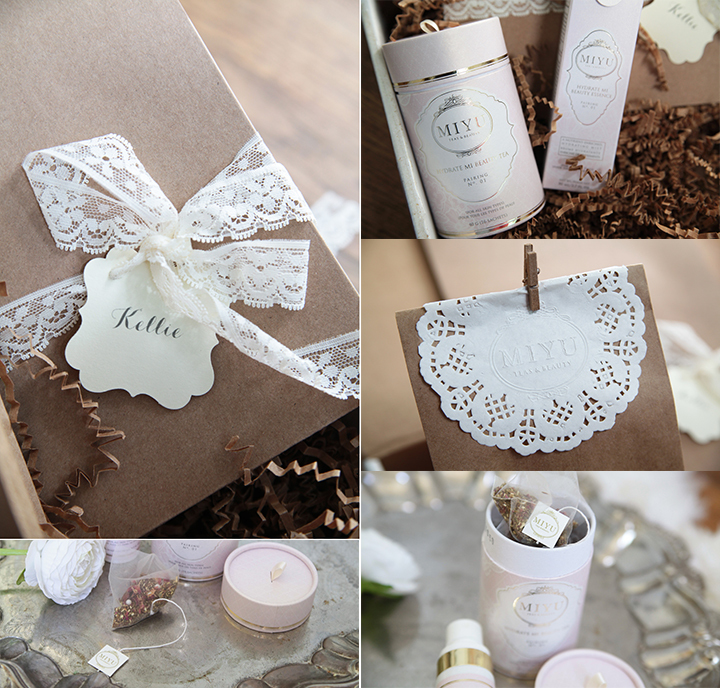 The gorgeous packaging, the philosophy, but most importantly, the products. Beauty care doesn’t get more simple than this. 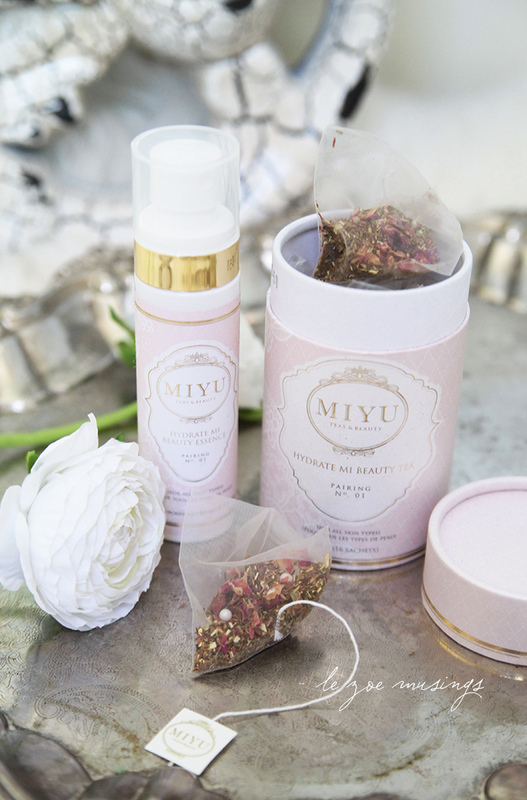 MIYU offers two skincare lines- De-stress Mi and Hydrate Mi. Each line comes with a facial mist, The Beauty Essence, paired with a tin of 16 delicous tea bags. De-stress Mi is great for when you need that daily boost of energy and rejuvenation. While Hydrate Mi is ideal for tired, dehydrated skin. I alternate which ones I use depending on the day, my mood, and stress levels. Being exhausted, stressed out, and tired is part of this mother of two’s daily life. During the weekdays, I usually enjoy my teas very early in the morning when no one’s awake yet. Hello, 5:30 am wakeup call! It’s my moment of ‘Mi’ time. And before getting ready, I spritz a light mist of The Beauty Essence onto my face. It’s a great way to wake up and serves as a great primer prior to moisturizing. However, when the weekend approaches, my mornings include tea indulgence and snuggling time with the two munchkins. Fragrant and yummy, their teas are exactly what my skin craves. Check my MIYU’s site HERE. And just so you know, MIYU is featured on Gloss48.com starting Tuesday, Sept. 16th, at a special price. They won’t last so remember to get yours! That sounds like perfect tea, and such a good philosophy. I love tea so this sounds amazing!